2015B Day 33: Wrapping it up, and a few animals. Greetings from the 3rd and final night of the GMT phasing experiment, and also the final night of the 2015B AO run! We are in the process of designing a sensor that will be used to phase the segments of the Giant Magellan Telescope. The GMT will have seven 8.4m diameter primary mirrors and seven 1m secondary mirrors. Each of those pairs must have the same separation to within 50nm! 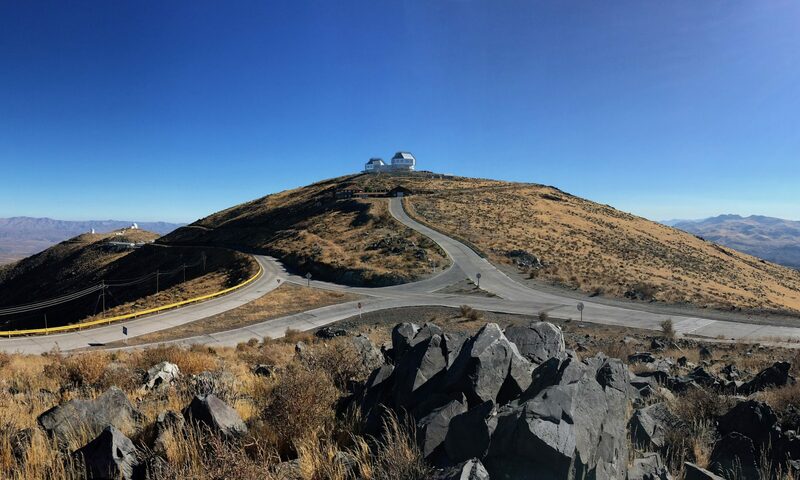 Our team from the Smithsonian Astrophysical Observatory has built an experiment uses the MagAO system to simulate what the GMT sensor will see. Over the past three nights we’ve taken a bunch of data that will allow us to verify our design for the GMT. One of the pleasures of coming to Las Campanas is getting to see a variety of wildlife that we don’t get to see back home and this trip was no different. Here’s some photos I’ve taken over the years – all these critters have made an appearance on this trip. The computers up here are named after them – well except for the crawly one. Here’s some of the regulars up here, the burros. The vizcachas love to hang out under the eaves of the astronomer support building, or to watch the sunset. We see them when we walk up to the telescope in the evening. Regulars to this blog know Vizzy as the MagAO mascot. We saw this guy a few years back hanging out in the Clay Telescope control room. One of the local staff declared it harmless, but on the other hand he didn’t volunteer to remove it from the premises… Tonight we saw one on the road as we walked up after dinner. The guanacos are my favorites. I’ve only seen them at a distance on this trip, but a few months back I got a nice view of this family near the mountain hotel. Still on the list of critters to capture “on film” is the Andean condor. Haven’t seen one yet this trip. Well that’s it for the fauna tour. It’s been a productive but very busy visit to Las Campanas. Both our crew from Cambridge and the MagAO masters will be here another day to pack up before we all take the bus to Santiago on Monday. One other note: two evenings ago several members of our group saw their first green flash! Others who were not outside remain skeptical. No luck last night. Maybe tomorrow. And the song of the day, continuing on yesterdays “night” theme, is Modest Mussorgsky’s Night on Bald Mountain. This seems appropriate since the purpose of this trip was preparing for the Giant Magellan Telescope, which will go on Las Campanas Peak, currently a very bald mountain.